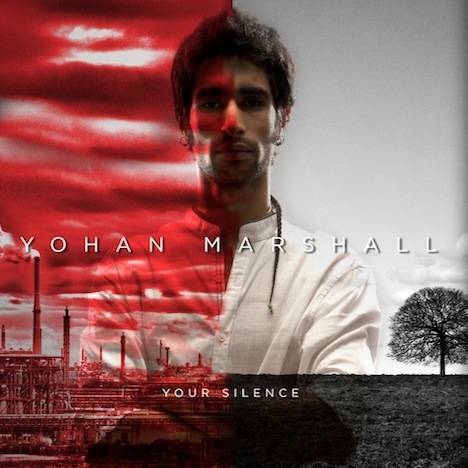 Your Silence | Yohan Marshall | OK Listen! Yohan Marshalls'-Your Silence has been recorded at ArbitRandom studios-with Tejas Narayan. Vocals at SongBird studio -with Aditya Arya & Savera Mehta. Drawing influences from bands like Incubus, Radiohead, Switchfoot, now vs. now etc. the music has a calm yet edgy vibe to it and can be best described as an Alt-rock Sound. The Writing process of this album has been effortless and fresh. The music is made to be simple and hard-hitting, a “Big” sound seems to come naturally. My thought process towards composing/Recording this music was to emphasize song. This being my first album, it has been the most honest interpretation to my style of composition. I’m really looking forward to sharing it. A huge thanks also to Mr. Geoffrey Thomas & Amaranta Entertainment for not only producing the album but also managing the project & helping me at almost every stage with it. Thank-you for checking the album out - do keep in touch ! !